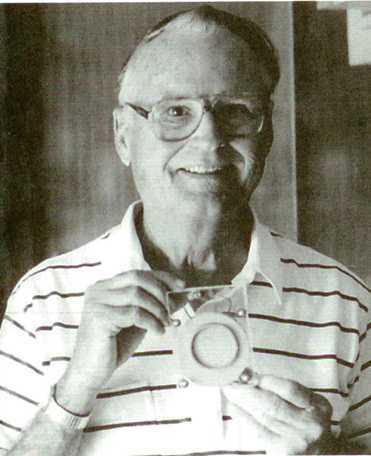 Wingate A. Lambertson & his WIN Cells, Academy for New Energy (Oct 1996). Wingate Augustus Lambertson, Ph.D., 89, of Lexington, Kentucky, Departed this earth on May 10, 2010 at St. Joseph Hospital. He was born in Rich Square, NC to Wingate Augustus Lambertson, Sr. and Grace Stanford Lambertson on June 29, 1920. He is survived by his three children, Susan Lambertson Lucas (Wayne), Larry Hall Lambertson (Sandie), and Michael Wingate Lambertson, (Joanne), seven grandchildren, and six great-grandchildren. He is also survived by one sister, Jeannette Lambertson Smith. He was preceded in death by his older sister, Grace Lambertson. He graduated from Rich Square High School in 1936, attended Lees McRae Junior College from1936-1938, and then attended NC State at Chapel Hill from 1938-1940. He joined the Navy after college and traveled the country teaching. He married Eileen Hall on April 27, 1945 and finished his Navy career. Mr. Lambertson then attended Rutgers University where he received his masters and Ph.D. in Ceramic Engineering. While at Rutgers, he invented a ceramic coating for boiler-furnace refractories for use by the Navy. This invention proved to add substantially to boiler life for the Navy fleet and was very important to the sea-keeping ability of the fleet. Dr. Lambertson left Rutgers to work in Chicago at the Argonne National Laboratories. While there, he worked on refractory problem involved in atomic energy. He then went to Toledo, Ohio, to teach at Toledo University. Next he went to Grand Island, NY to work at Carborundum. In 1963 he moved his family to Lexington, KY to work at Spindletop Research where he once again was doing research. He retired to Florida in 1980 where he could devote all his time to his energy research, specifically Zero Point Energy, ZPE. He was a dreamer beyond his time and very late in life still believed that there is a very viable energy source out there and believed that it will come to fruition in 2018. He continued reading and writing right up to the end of his very active life. A memorial was held on Thursday, May 13, 2010 at Blue Grass Memorial Gardens in Lexington, KY and his ashes are buried next to his beloved wife of 63 years who passed away on January 25, 2010. I worked closely with Wingate from 1993 until his passing. I spoke with him and exchanged correspondence with him many times during the last year. Towards the end I could tell he was working on both sides of the line, his body was still here but some of the information was coming from the other side. The year 2018 could be quite interesting. One of the projects he told me about that he worked on was the tendency of fuel rods to jam when they were dropped to shut down nuclear reactors. Frustrated at getting nowhere, project management finally gave Win the O.K. to try his method which used his ceramic engineering approach, something they had told him would never work. So by now you can guess the rest of the story. The theoretical approach that Win had outlined in his patent application to take advantage of the Casmir effect at the atomic level in a ceramic-metal oxide-semiconductor mixture was one of the most fascinating projects I have had the good fortune to work on. He joins Sparky Sweet, Bruce dePalma, Gardner Robertson, Yul Brown, Stephan Marinov, and many others we all have known who proceed us to a place we all shall meet again.